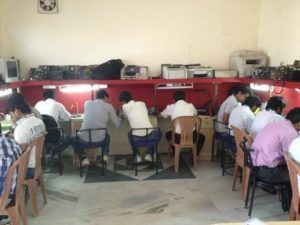 Students trained at our centre are either successfully pursuing their own business or are employed with multi-national companies like Nokia, LG, Samsung, Sony, BPL, Thomson, Haier, TATA, Motorola etc. Complete know-how provided to set up, manage and systematically run your own unit. 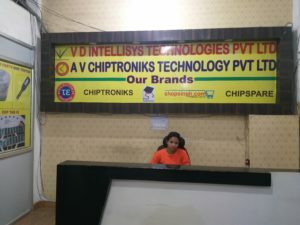 Right to display – CHIPTRONIKS-Member sign board. Advantage of displaying your Certificate. Exclusive rights to purchase reliable and tested parts. Free technology upgrades and updates by way of regular workshops, seminars and class room instructions. Supply of equipment, parts and components at lower rates then open market. Free latest Repairs (freeware) Software/ Low Cost diagnosis software researched and tested by CHIPTRONIKS’s competent Research and Development team. Free email/ phone/ onsite support. Facility to get repaired complex jobs at Head Office/ Branches. Opportunity to receive repair job works from Head Office/ Branches. Facilitation to migrate from Self-employment to Job and vice versa to suit your career goal. Please visit our centres to meet our student advisors for more information on how to become a ‘CHIPTRONIKS-MEMBER’. As attracting the right talent for the wireless industry becomes imperative, the need for Job oriented training programs and industry oriented training specialists becomes inevitable. 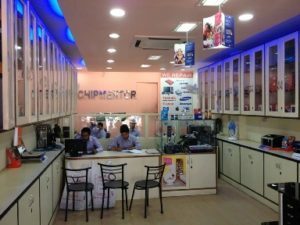 It is here, where we, CHIPTRONIKS comes in to the picture, offering career-oriented courses targeted at the wireless telecom repair and maintenance segment. And thereby converting this untapped potential into a successful career opportunity with specially designed courses. I had completed Hardware course. Now i am interested to study Laptop servicing course.What is the course fees. whether you are providing any room. I want the full details. I hope you will give soon reply for me. Thank you for contacting CHIPTRONIKS . Our Counsellor will soon reply back to your queries . I had completed Hardware course. Now i am intereste to the study Laptop servicing course.What is the course fees. whether you are providing any room. I want the full details. I hope you will give soon reply for me. Thank you for contacting us . You will shortly receive a detailed email from CHIPTRONIKS counsellor . You will shortly receive a call & email from CHIPTRONIKS Counsellor . Thank you for contacting us . You will shortly receive reply from CHIPTRONIKS Counsellor . You will shortly receive a call from CHIPTRONIKS Counsellor . hi i am rohit from jalandhar city. I have done +2 . I want to do computer hardware course. Give me some information about this. Thank you for contacting us . We have already emailed you details regarding your query . Plz do not hesitate to contact us back . i am interested to study Laptop servicing course.What is the course fees. whether you are providing any room. I want the full details. I hope you will give soon reply for me. i want to do advance laptop repairing course. so i want to know fees structure and time perioud for the course. Thank you for contacting us . You will shortly receive a detailed email from our side . I had completed my course here last 1 year back,I have started my own business,Sir please provide me full laptops notes with addition of new concepts.I will be waiting for your’s reply. I have done B.E. 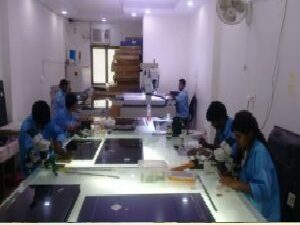 in ET & T and now interested in complete laptop repairing course. Please guide me accordingly. i’m interested in the chip level repairing of laptop and desktop course..i want to know the duration ,fees structure and whether we can complete in less than the stipulated time..
kindly give me information about course duration and fee structure. i want to know about course duration,fee structure and syllabus PCLR and PCPR. Kindly give me information and when you are commencing New bath of course. i also want to learn laptop repairing course. get job after completing the course in nokia,samsung,lg etc. and how much salary ill get in this profession? I had completed Hardware course. Now i am interested to study Laptop servicing course.What is the course fees. whether you are providing food and accommodation I want the full details. I hope you will give soon reply for me. Sir, I am souvik sarkar!frm-Siliguri!!! i want to Chip leavel Laptop Repairing course so plz send me your course fee structure & course detail etc!!!!!!!!!!!!!!!!! 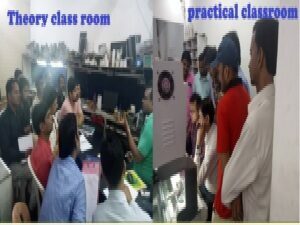 I am interested in Professional Certificate in CHIP Level Repairing (PCLR) & Professional Certificate in Printer Repairing Course (PCPR). i am saleem from andhra pradesh i want work in ur institute plz refer me i have 5 years expernice in hard ware & soft ware with 2 years expernice in chip level . i want all the detail about printer repairing course pls send me all the details. I am Arun from chennai. I want to learn DATA recovery. kindly give the course details with fees, and accomodation details.